We’ve updated Liquid Karma® with a new humic source that runs cleaner, performs better and is more versatile than before. 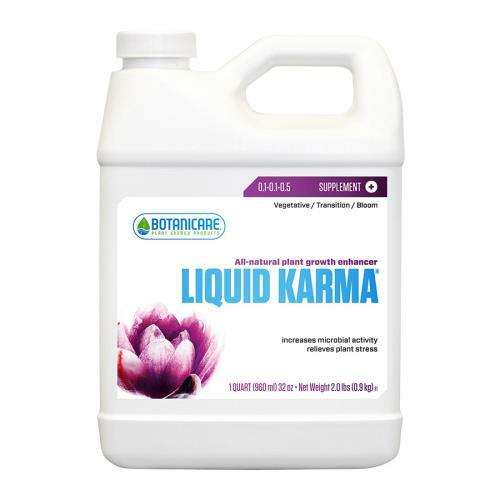 This new 100% water soluble humic acid source will not cause buildup in lines, clog drippers or contribute to pH fluctuations. 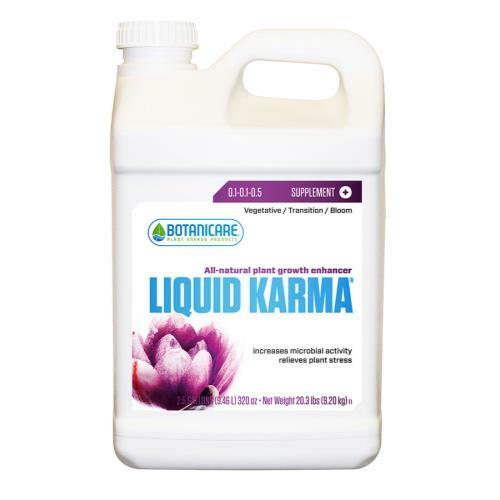 Liquid Karma® contains metabolically active organic compounds that are absorbed immediately and act as regulatory signals, activators or catalysts to produce accelerated growth. 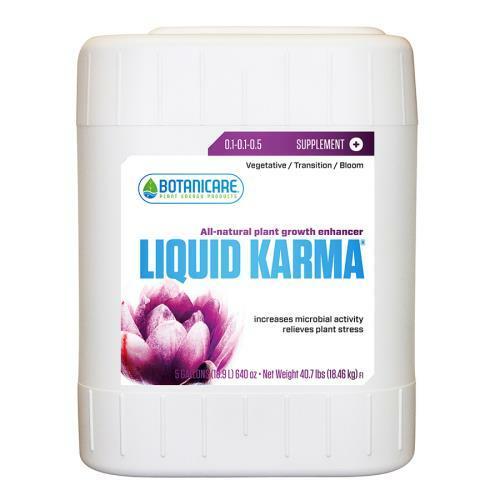 Liquid Karma® promotes increased metabolic activity produces a large amount of energy, which translates into increased growth rates.